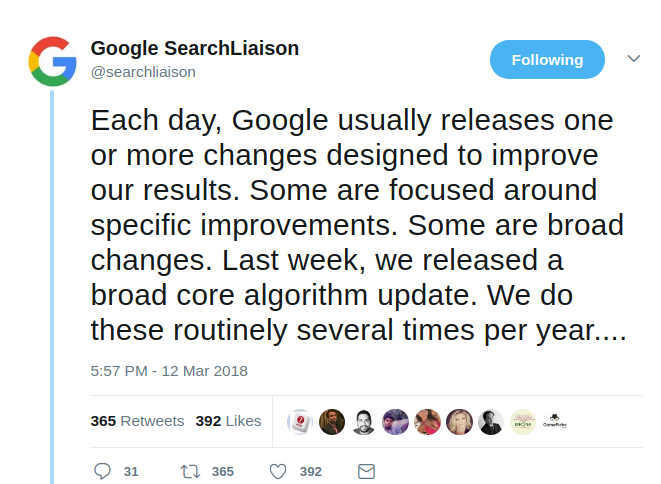 Google confirmed the release of a broad core search ranking algorithm update. It was one of the several core ranking updates Google releases per year and rarely confirms. 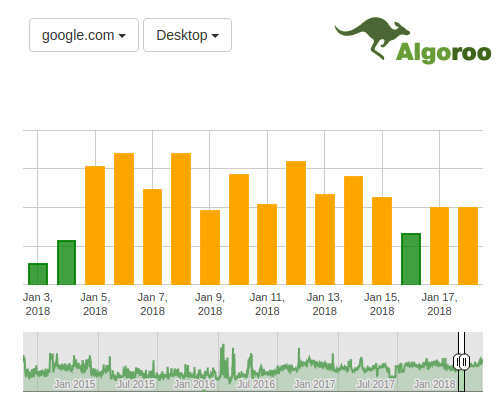 Roger Montti at searchenginejournal.com said that this update is one of the biggest updates in years. 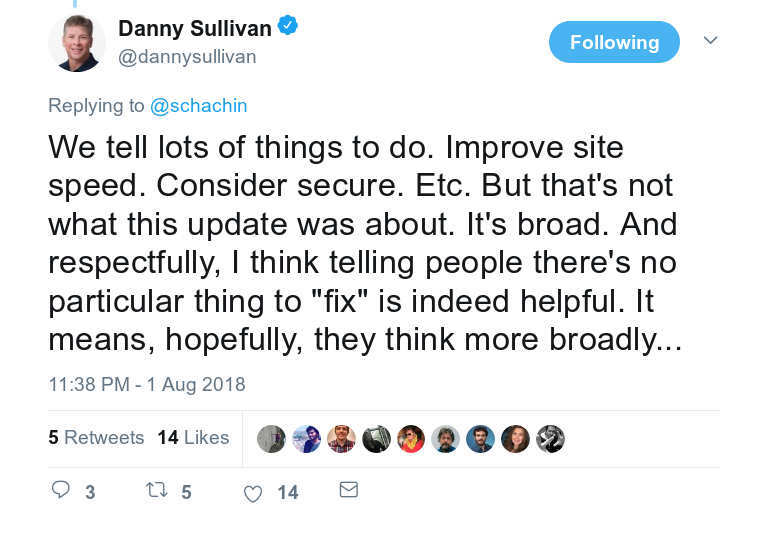 Note that Google says there is no fix for impacted websites. Broad core updates don't target any niche or any particular signals but are generic fixes. As we understand from the confirmation, the scope is to improve how Google matches relevant results to search queries. Google says it is not about poor content quality. Who believes them right? 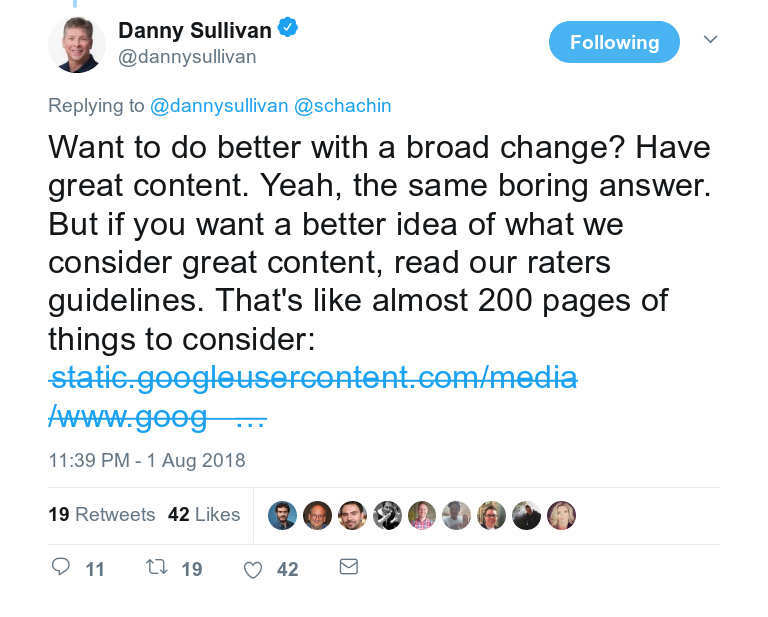 Danny Sullivan (Google) declined to comment on what to fix. A drop in rankings does not mean there is something to fix in the site that lost rankings. The Speed Update which enables page speed in mobile search rankings is rolling out for all users. Page speed was in the past only a ranking factor in desktop searches, but speed was never a full-fledged ranking factor in mobile search results. Google said this update would only affect sites that are noticeably slow. In 2017, Google sent 45 million messages to website owners via Search Console notifying them about issues identified with their websites. Google refers to the bad actors as abusers and spammers who violate the webmaster guidelines trying to manipulate search rankings and profit from them. Several popular CMSs are the target of spammers who abuse their provisions for user-generated content, such as posting spam content in comment sections or forums. Another concern is the manipulation of links, which is one of the foundation ranking signals for Search. Google took action in 2017 on nearly 90,000 user reports of search spam. 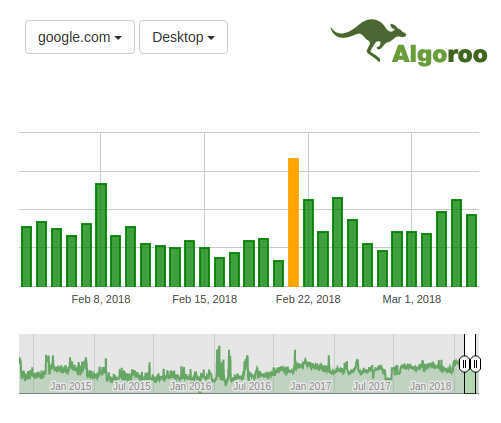 There were indications that suggested a silent Google algorithm update. Webmasters across the world and monitoring tools reported shifts in traffic and positions. It seems that Google runs an update per month. Pages were utterly dropping out of the SERPs and then come back every 6-12 hours then show back up in the same spot like nothing happened. Fluctuations last for a whole week in specific locations. Users have watched results switching between about three different sets of results. 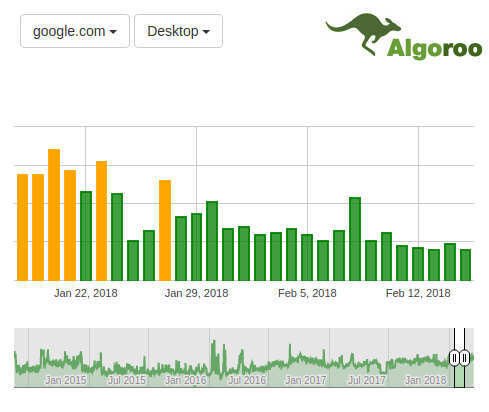 It looks like the update lasted for a week, and now it seems OK. Like after the September drop, big brands (magazines, newspapers) are currently dominating the SERPs for many of the terms users saw their pages drop. Most of those brand pages lack in-depth information and scratch the surface of the topic. 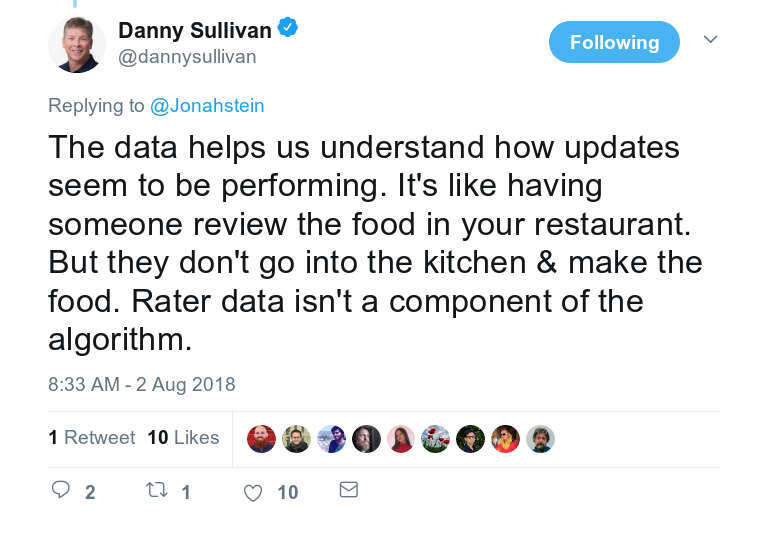 Also, these brands are even using quotes from exclusive interviews by just copying the data and without mentioning the source. 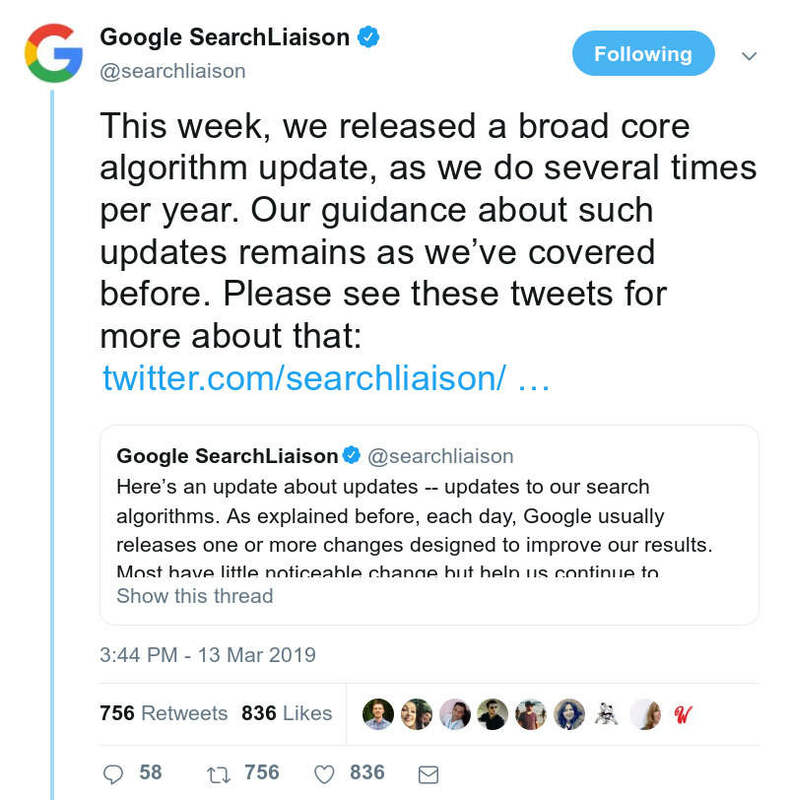 Google confirmed that it did a core algorithm update in April and said it is common to run all kinds of changes throughout the year. According to Google, webmasters can do nothing specific to maximize or fix their rankings following an update, other than improving the site quality. 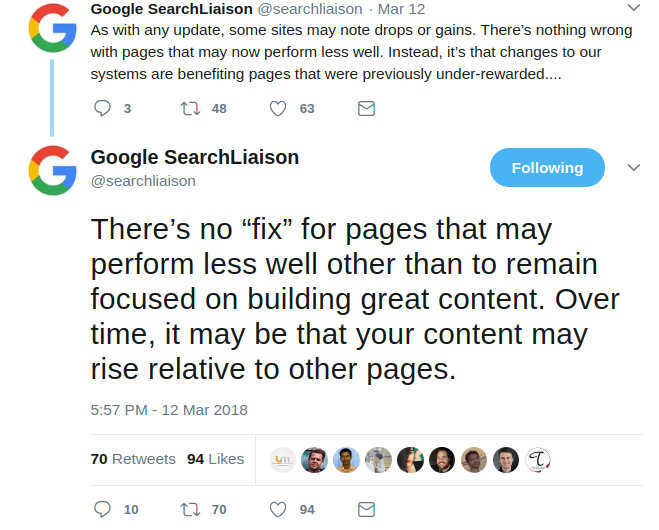 With this one, Google said that pages, which previously show loses, would now see a benefit from these core changes. The monitoring tools that showed (below) turbulence in mid-April were right. Google confirmed the shift from desktop to mobile-first indexing. There will be one single index that they will use for serving search results. Increasingly, they will use the mobile versions of content and leave behind the desktop versions. Mobile-first indexing enabled for http://www.domain.com. and here is why it is hard to believe the statement: Google says: There’s no ″fix″ to websites that lost rankings. Webmasters report on a possible Google Update. There were fluctuations all over the charts and no precise information about the changes. Series of changes in search rankings, probably minor changes. According to Barry Schwarz, there were several changes to the algorithm in December. Around January 5-7 the changes involved keyword permutations, PBNs, and celebrity sites. Formerly known as Fred, the Maccabees Update brought several minor changes to the core algorithm between December 12 and 14. The name comes from Barry Schwartz of SERoundtable who named it Maccabees in recognition of Hanukkah. Volatility and fluctuations from this date on and additional occurrences on September 18, 25, and 29, as well as October 4, 8, and 12. The update is still unconfirmed. Possibly another quality update. It affected category pages, aggressive advertising, low-quality/thin content. Apparently a minor Google quality update. It seemed like a significant update that impacted pages ranking in Positions 6-10. The hit was mostly in the Good and Beverage industry. The update seems to target deceptive advertising, UX issues, and thin/low-quality content. Limited impact. 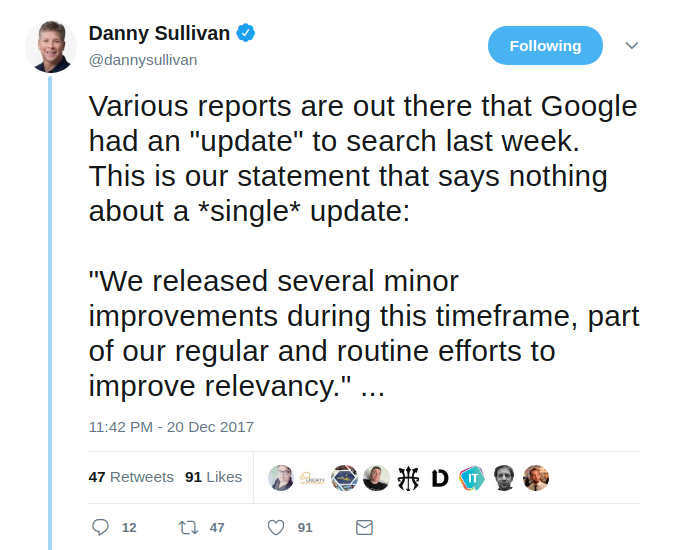 The update took its name from Gary Illyes (Google). It was a significant algorithm update targeting low-quality content. The unconfirmed update provoked massive volatility with higher-quality and more relevant websites gaining rankings. Supposedly targets private blog networks (PBNs) or the marketers who do spammy link building. The update targeted intrusive interstitials and pop-ups that affect the user experience on mobile devices. From now on the Penguin algorithm is an integrated part of the core algorithm. Penguin will be evaluating websites and links in real-time. A significant change is that Penguin devalues backlinks, instead of demoting page rankings. 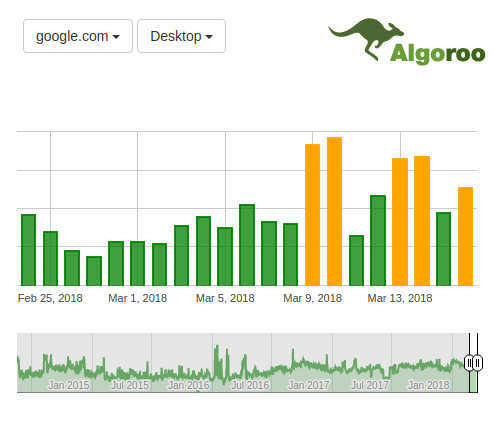 A content-related Quality Update began rolling out around June 1, with additional search ranking volatility on June 8, 21, and 26. Designed to increase the effect of the ranking signal this second update AKA Mobilegeddon 2, to the first Mobile-Friendly Update. Panda is now an integral part of the core Google algorithm and no longer its separate algorithm. Panda does not act in real time. Google officially introduced RankBrain a machine learning algorithm that filters search results to provide users with the best answer to their query. RankBrain is now involved in all Google queries. RankBrain is the third most significant ranking signal. It was a Panda refresh taking months to roll out and impact 2 to 3 percent of English queries. Its impact was difficult to assess as the update rolled out slowly. 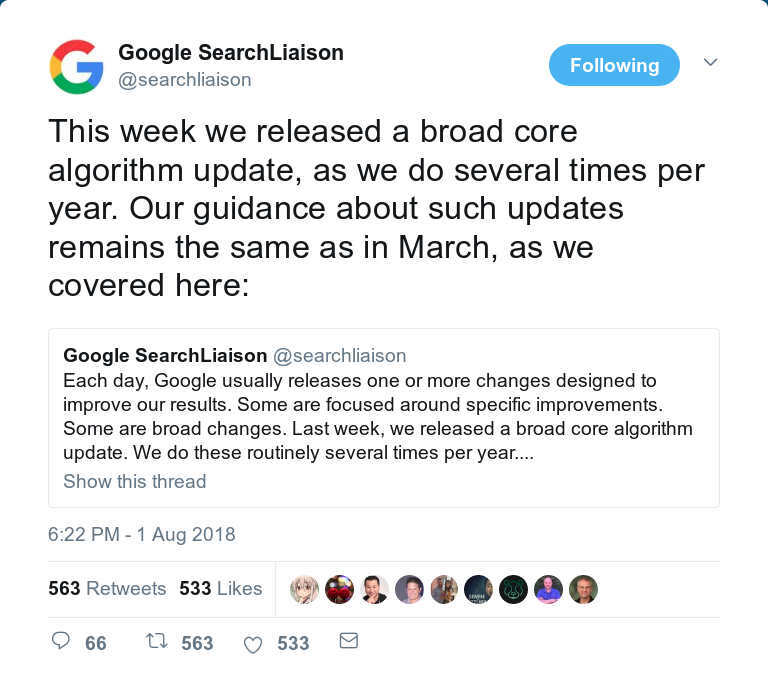 The Quality Update (AKA the Phantom Update) changed the core of Google core ranking algorithm. The change affected the assessment of quality signals. Most impacted were pages with content quality issues, and too many ads. Hubpages suggested that Google was somehow targeting How-To or informational sites. Marketers could see the results, but there was no confirmation of the update, so they dubbed it as the Phantom Update. The Mobile-Friendly Update (AKA Mobilegeddon) meant to boost mobile-friendly pages in search rankings and enhance the quality of on mobile devices. The update impacted all languages globally.